Former Massachusetts Gov. 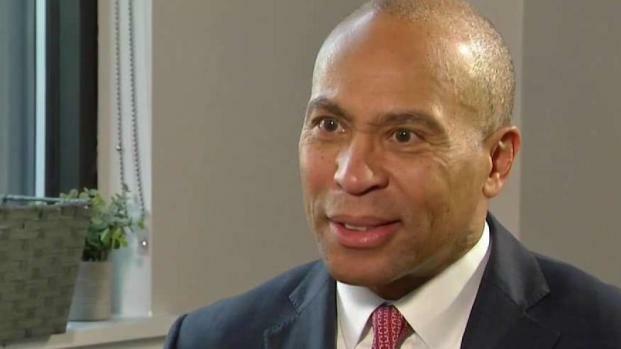 Deval Patrick confirmed Thursday he will not be running for president in 2020. In an exclusive interview with NBC10 Boston's Alison King, Patrick said he was concerned about the elections process negatively affecting his extended family. "We have a family, and an extended family who depends on me and on Diane and we're very close and I have to care about the impact on them and I do," said Patrick. "Our family, some of whom, all of whom are encouraging, but many of whom have not signed up would deal with the inevitable cruelty of our current political processes." Patrick indicated that the way the 2016 election played out may be a factor in his decision. In an exclusive interview with NBC10 Boston's Alison King, former Massachusetts Gov. 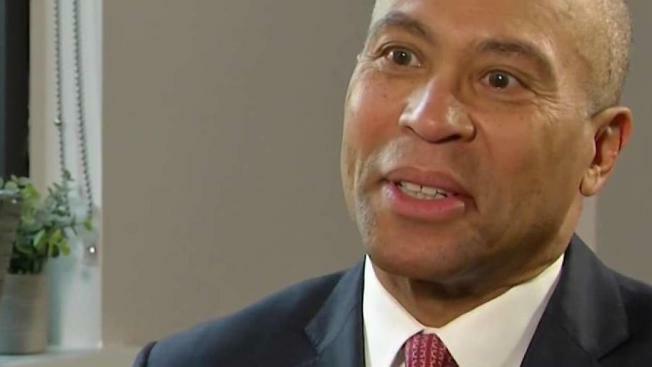 Deval Patrick explained why he is not running for president in 2020. "If there were any rules, it feels to me like they all were thrown out in 2016," he said. "In a way, Donald Trump, President Trump is not the point. The point is, the character of the country." Instead, Patrick said he will look for other ways to contribute in the coming years. NBC10 Boston's Alison King mentioned that the current political climate is why many voters think he should have thrown his hat in the ring. "I take that comment as a tremendous compliment," Patrick said. "But I also am aware that that's a decision that doesn't affect me alone." Patrick said family issues have also shaped his decision. It was less than a month ago when his wife Diane was diagnosed with stage one uterine cancer and needed surgery. "She had surgery, she's fine, she's going to be fine. But that sort of thing you know sharpens the mind," Patrick said. Diane Patrick had struggled with her husband's transition into public life in 2006. But it is not Diane who is keeping her husband from running for president. "I would say that Diane's encouragement had more to do with my taking this seriously than almost anybody else," said Patrick. Patrick's decision is a disappointment to key members of the Obama administration who had publicly supported him. When asked if he may change his mind in the future, he would not speculate. "You know, I'm not going to do all that. Because I've found that when I ruminate out loud it gets me in all kinds of trouble," Patrick said.